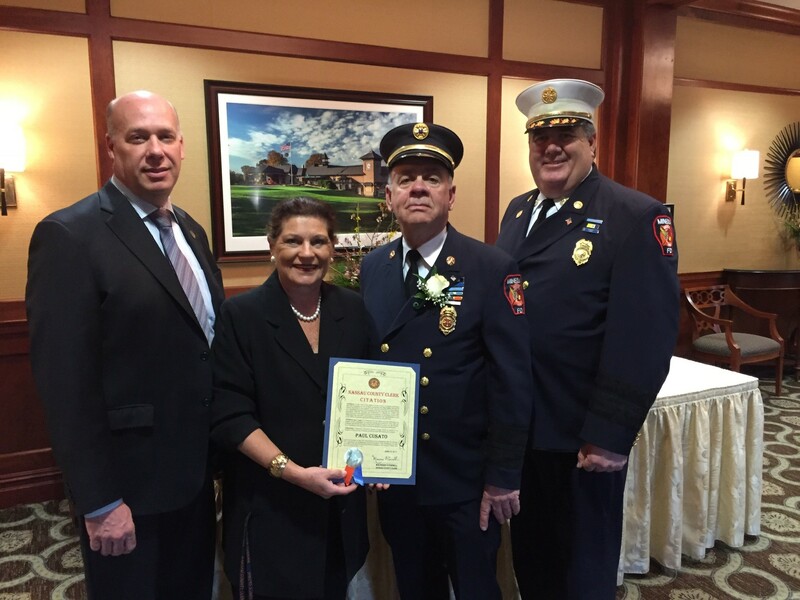 (Mineola, NY) Nassau County Clerk Maureen O’Connell recently joined members of Engine Co. No. 1, of the Mineola Fire Department to honor Firefighter Paul Cusato for his 50 years of service to the Mineola community. Clerk O’Connell presented Firefighter Cusato with a County Citation in recognition of his outstanding service and dedication to the department and the community.